Jessying - Malaysia Beauty Blog - Skin Care reviews, Make Up reviews and latest beauty news in town! 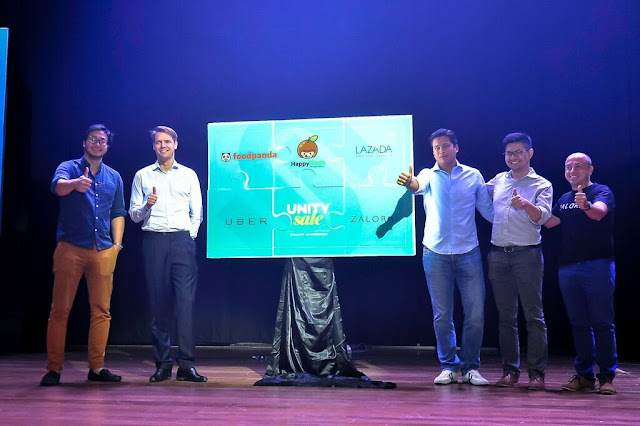 : Zalora, Lazada, Uber, Foodpanda and HappyFresh unveils #UnitySale in conjunction with Merdeka Day! Zalora, Lazada, Uber, Foodpanda and HappyFresh unveils #UnitySale in conjunction with Merdeka Day! With Merdeka celebration around the corner, this year Merdeka 2015 is set to be an even bigger celebration this year as Malaysians (shopaholic) will get to enjoy something special! The five leading e-commerce businesses are combining their resources to bring the first ever #Unitysale to life! Lazada, foodpanda, ZALORA, UBER and HappyFresh revealed the first ever joint online sale of its kind in Malaysia that will run from 26th August - 1st September, 2015. They offer more than 20,000 online deals and up to 94% in product discounts across individual products and services being offered by the five participating brands. Happy Shoppping & Have a nice long weekends!